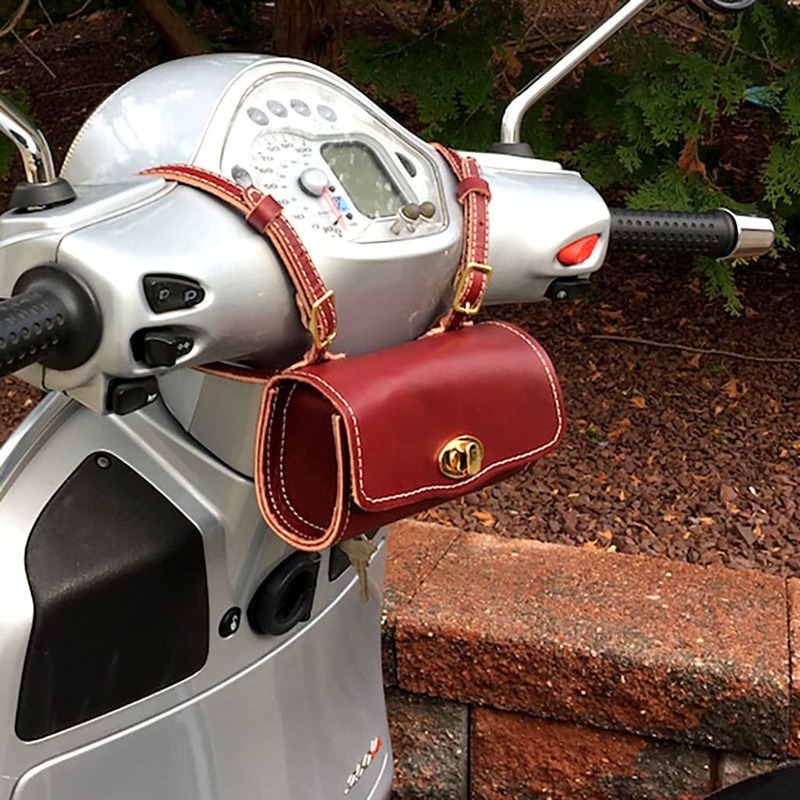 We are so excited to re-introduce our original scooter mini – Roll Bag design! 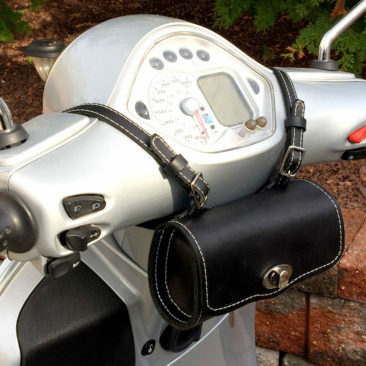 These bags fit ANY scooter model, so if you or someone you know is looking for an upscale upgrade to their scooter commute, this bag is perfect. 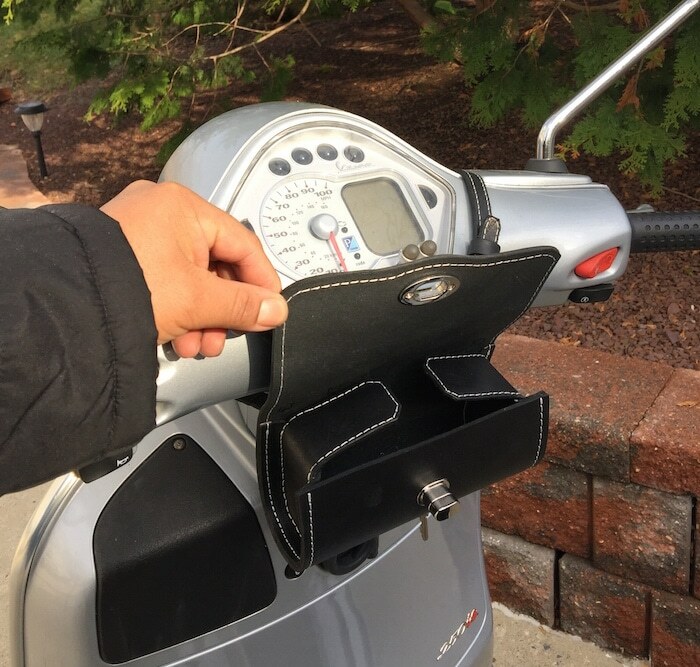 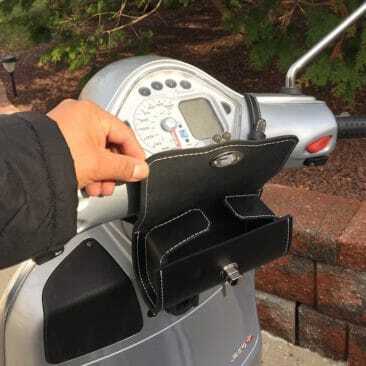 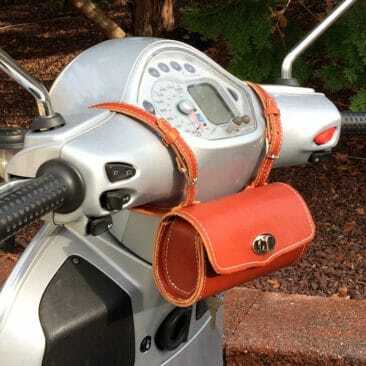 We know that guys AND gals always have their glasses, phones and keys in hand, and this is our answer to the question of where to stick those items quickly when you’re zipping around on your scooter. 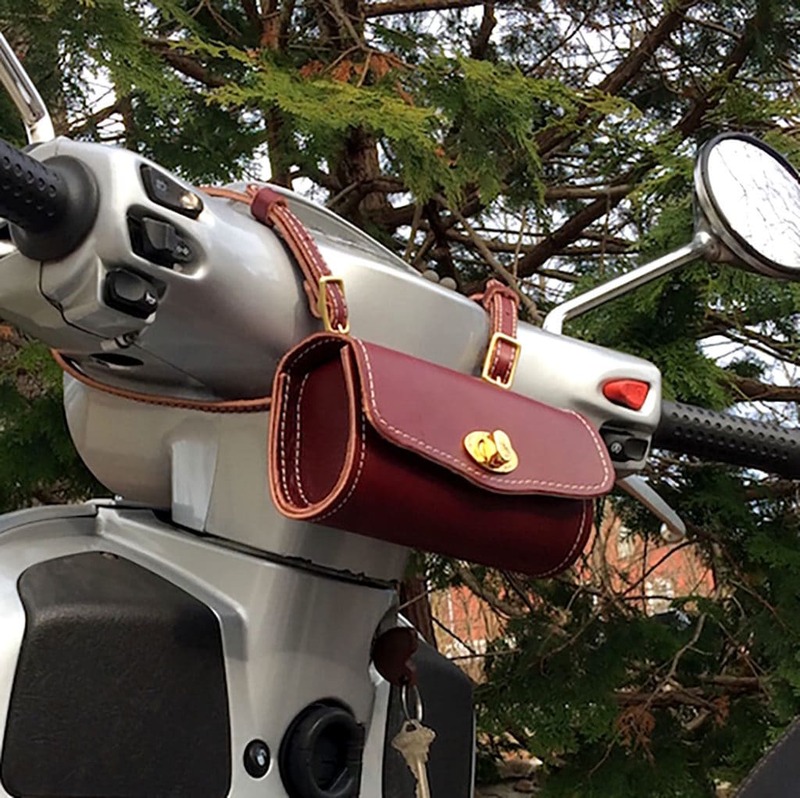 made with gorgeous full-grain leather sourced from a 150 year old tannery here in Pennsylvania, but we can make them in vegan leather, too! We’ve included a brass buckle to keep your items safe and secure, as well. 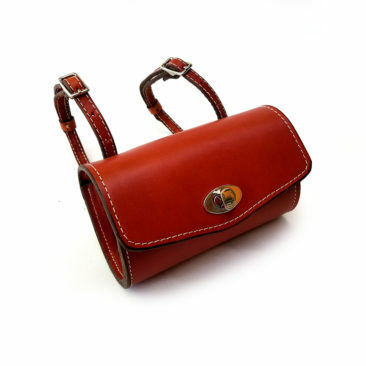 So, without further ado, allow us to introduce our leather mini – Roll Bag! 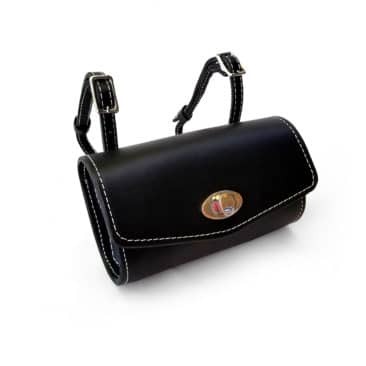 PS, if a mini Roll Bag isn’t your thing, check out our Glove Box / Dash bag! New seat cover just one of many I will likely order in my time with Martin! 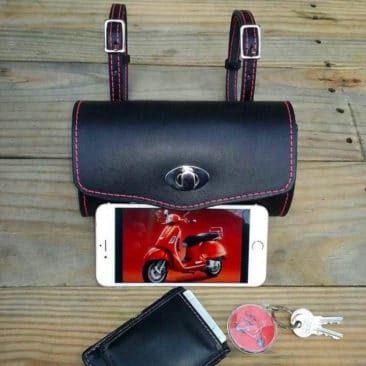 We love our Cheeky Seats covers! 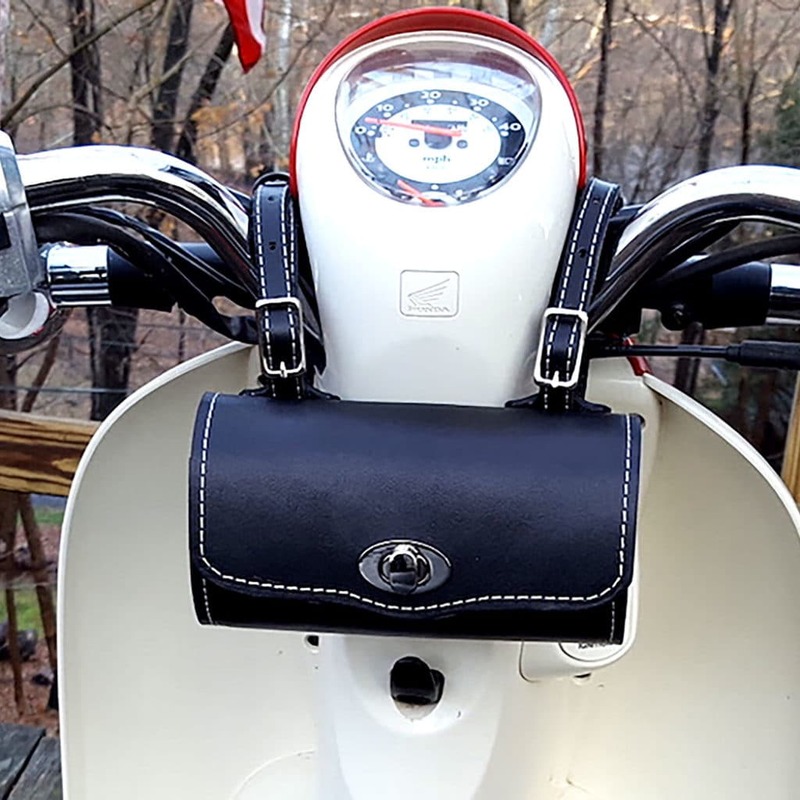 Vespa LX Before and After!